Posted February 12, 2019 at 6:09 pm . 1 comment. We have a newly lowered street price on two great RF lenses, and our deal on the EF 85mm f/1.4L IS USM is back in-stock. 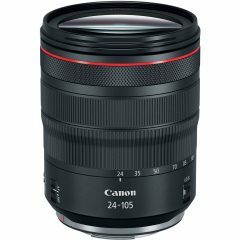 The RF 24-105mm F4 L IS USM and RF 35mm F1.8 MACRO IS STM have both been lowered in price — these are the lowest prices seen yet, from Canon authorized dealers with a 1-year Canon USA warranty. Our sale on the EF 85mm f/1.4L IS USM has been restocked — a limited number of lenses are available at the price of $1399, which is the lowest price seen yet for this lens. I like Canon’s strategy. Load em up with some great glass and a couple entry and moderate level bodies and watch sales go crazy….then release the Pro body (early 2020?) to match the great RF glass, then and only then will you have something to replace my 5D series bodies.